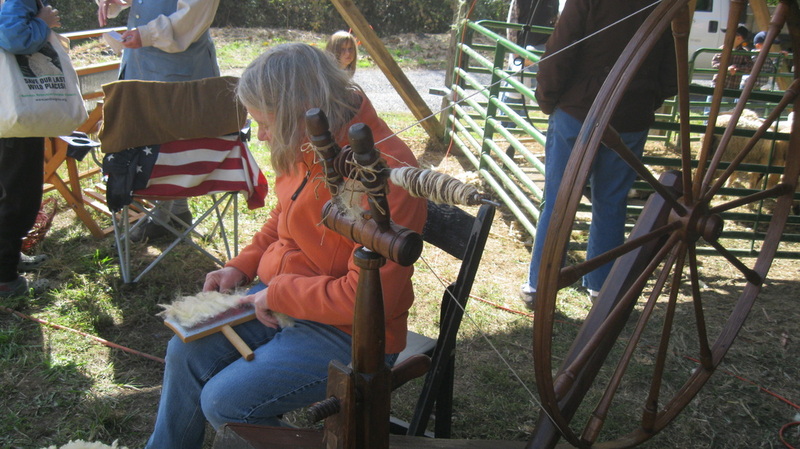 Farm Day was a great local event, last fall, with two corn mazes, old farm equipment, turkey herding, venders, sheep shearing, spinning, and even demonstrations on weaving flax. I was carding and spinning fleece, in-the-grease, right off the sheep. There was a great crowd and many interested and interesting people. I take every opportunity I get to educate people about the whole wool process and always end up learning new things, myself. One of the things I learned this time is that I have to take shorter videos if I want them to appear on this website. 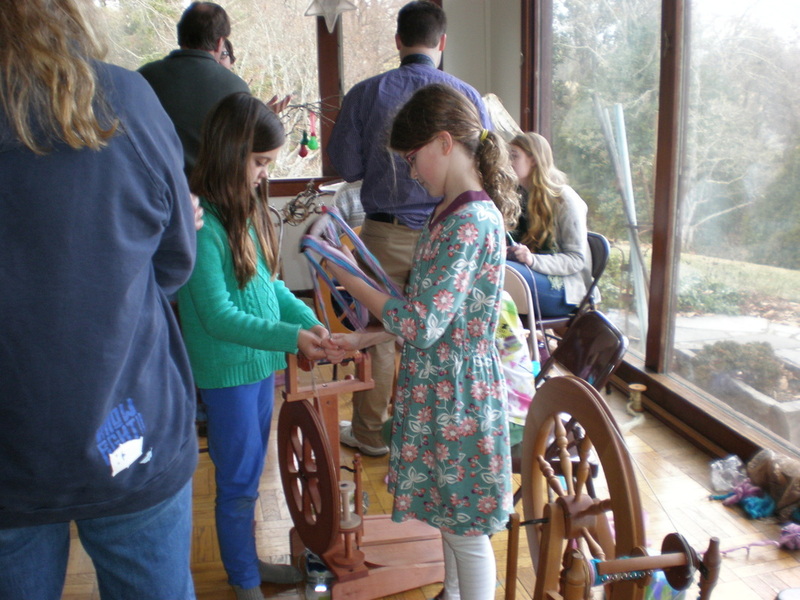 Cabin Spring Farm co sponsored a ROC Day celebration on Januray 6th at Boxerwood Gardens and Nature Center in the lodge. 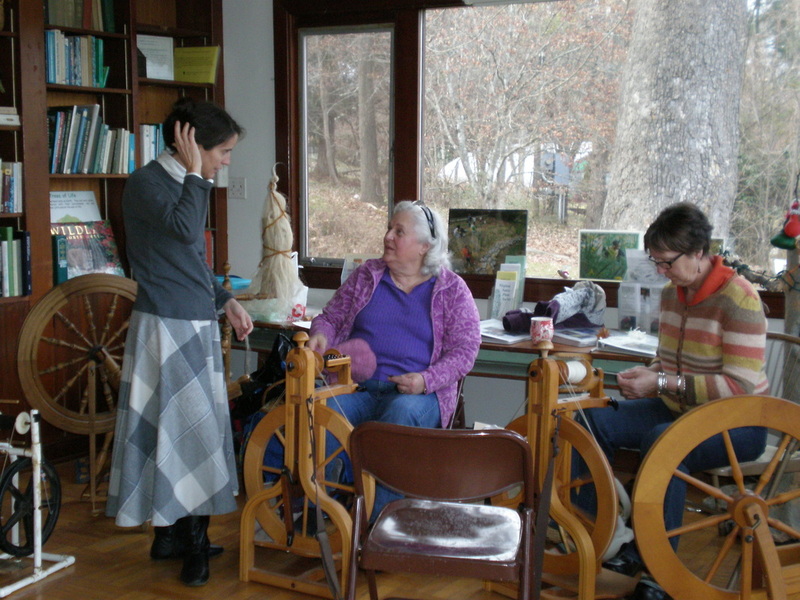 ROC Day was, in days past, the day that the women of the house returned to their spinning after the 12 days of Christmas. It was traditionally, January 7th, but now many spinning guilds across the globe celebrate it when they can best get together near that date. ROC Day was a huge success with 12 spinners and guests throughout the day.